So this is what my 6yr old recently bought. Pretty cool, eh? He saved up for it for quite a while but unfortunately it was sold out by the time he had the cash. Luckily my wife phoned around, found one on the other side of the country and had it shipped here. 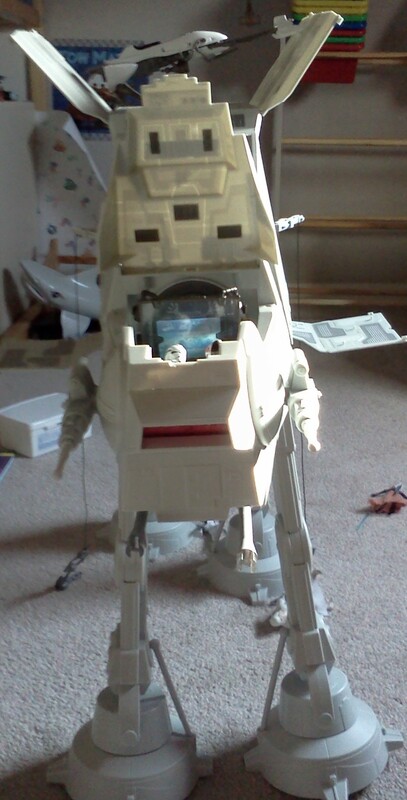 I had an AT-AT when I was a kid but this version would eat that one for lunch.